Today, the Ragdoll is one of the most famous breeds of cats all over the world! They love the company of their humans, much more than other cats. They tend to follow you around everywhere which makes them the perfect companion if you are looking for a new best buddy. Ragdolls are also rather big and they tend to eat accordingly, which is why we searched high and low to find the best cat food for Ragdolls! The Ragdoll was born in the 60’s in the USA. This breed was developed by Ann Baker, a breeder of Persian cats. Ann bred “Josephine” who was a domestic long-haired white female to other cats she owned or found (1). The kittens of this female had a very unique temperament that was very laid back and endearing. The Ragdoll is one of the nicest cats around! No other cat displays such a gentle nature. His beautiful coat and blue eyes are the reflection of this cat’s kindness. Character: Peaceful, loving, kind, loyal, intelligent, cuddly. Health problems: Subject to the feline hypertrophic cardiomyopathy (2). Heavy weight can cause joint problems on the long run. Ragdolls tend to have a fat roll on the lower abdomen which is often fine but needs to be monitored carefully. Those specific characteristics are key to determine what is the best cat food for Ragdolls. Our choice is based on those traits and on experts advice. For more information about the Ragdoll breed, check out this pawesome video! Orijen $$$$ 12 lbs Fresh meats, organs, and cartilage in ratios that mirror the natural diet. Blue Buffalo $$ 11 lbs Protein-rich deboned chicken, healthy complex carbohydrates, and Lifesource Bits to support immune and digestive health. Wellness Core $$$ 12 lbs Real turkey, chicken, whitefish, herring, salmon oil and cranberries with fish/flax omega blend and probiotics. 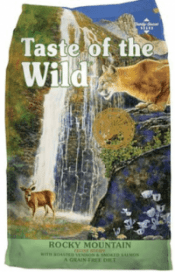 Taste of the Wild $$ 15 lbs Grain-free recipe made with real roasted venison and smoked salmon from sustainable sources. To select the best cat food for Ragdolls, it is essential to take into account their characteristics. Like any other cat, they need meat proteins and basic nutrients, but because they can be subject to heart disease and joint problems, it is important to find a food that contains simple, healthy ingredients that will contribute to avoid these type of illnesses. Ragdolls, like all cats, need a well-balanced diet to thrive. If you are looking for the absolute best cat food for Ragdolls, this would be it! It is by far the most natural cat food you will find after a homemade raw cat food diet. Why? First of all, the main ingredient is real meat! Actually I should say real meatS! Seriously, which other brand includes cage-free chicken and turkey, wild-caught fish (Salmon and Walleye) and nest-laid eggs??? Well, Orijen does it! Natural source of amino acids, vitamins and minerals, glucosamine and chondroitin. This food also has an amazing low-carbohydrate, low-glycemic formula that supports a well balanced and healthy diet (contains less than half the carbohydrates found in conventional cat foods). It includes Taurine (0,25%) for your cat’s little heart that needs to be protected. So what’s the catch you ask? You probably guessed it, such an amazing food comes at a price. Once again, it all depends on what you are looking for but if you are looking for the best, then this is it. The second best in terms of ingredients, but the first in terms of quality for price. Blue Buffalo Wilderness is the brand of cat food we feed Yoda, so we can guarantee its high-quality. They might not push it as far as Orijen but they are still doing a real good job! Blue Buffalo’s grain-free formula is perfect for your Ragdoll. It is developed to help with weight management, making sure your Ragdoll stays in shape despite his laid back nature, muscle development, healthy skin and coat (it would be a shame not to take care a this beautiful furrr). Not to mention, Blue Buffalo will ensure your Ragdoll has and maintains a healthy immune and digestive system, plus a healthy heart, eyes and coat. What makes Blue Buffalo so special is also their unique formula. The food is mixed with “Lifesource Bits” which is Blue’s special blend of antioxidants, vitamins and minerals cold processed to preserve every little bit of goodness. Basically, this food helps your little friend reach is ideal weight while providing a delicious and nutritious meal that answers each and every need of your Ragdoll. It’s also way less expensive than Orijen or other competitors. The Wellness grain-free recipe is a special food formulated for indoor adult cats. It is a protein-focused nutrition food made with natural ingredients. Wellness takes “purride” in providing felines with healthy, wholesome nutrition. Feeding your Ragdoll with Wellness will help maintain a healthy weight and immune system. The recipe is fortified with antioxidants, probiotics, vitamins and minerals, and of course taurine. If you have a picky cat, Wellness offers both poultry and fish-free formulas so you can adapt to your cat’s taste and needs. Feeding your Ragdoll with top-quality ingredients is a must! And Taste of the Wild provides just that for felines. Their line of cat food is always nutrient-rich and highly digestible thanks to probiotics, omega-6 fatty acids, added vitamins and powerful antioxidants. This recipe is made with real roasted venison AND smoked salmon, to bring a delicious, wholesome experience to your cat’s mealtime. As with the other foods listed above, this recipe has no grain, corn, wheat, filler, and definitely no artificial colorings, flavorings, or preservatives. 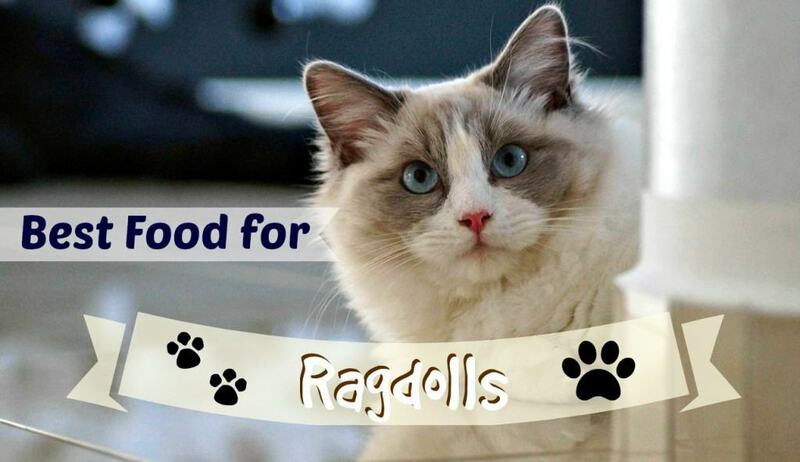 Have you found the best cat food for your Ragdoll? We truly hope so! Please let us know what your choice is in the comment section below. If you want to suggest another brand, do not hesitate to let us know which one and why. 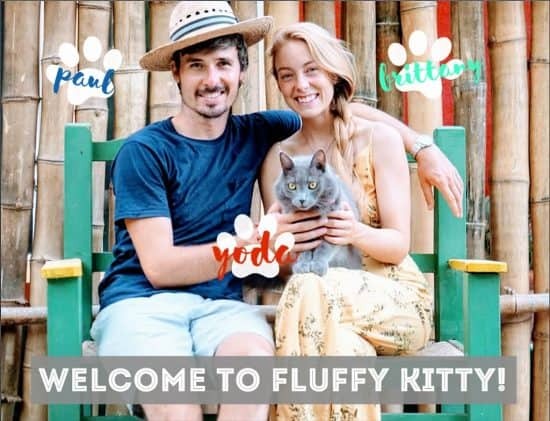 At Fluffy Kitty, we love Ragdolls and that’s why we wanted to dedicate a special article to help their owners find the right food for them. Ragdolls have a tendency to grow big and you must therefore carefully monitor their diet. Let’s not forget that besides wholesome nutrition, the Ragdoll being a placid cat, needs plenty of interactive exercises and space for play to stay in shape! Previous Post Are Meat By-Products Bad for Your Cats? I have three beautiful rag dolls and they are very picky eaters and some foods they won’t touch and others cause very stinky food. An owner of a higher end pet store said the best is raw but they won’t eat it so he said to try freeze dried. He said it’s the next best thing. I’d love to know your thoughts on this. Hi Gail! Thanks very much for your thoughts and for leaving us your comment 🙂 We definitely know how Rag Dolls can be picky eaters! What have you tried giving them as raw food? Maybe you could start incorporating it into their regular food, little by little until they’re used to the texture, etc? If you end up doing a trial on the freeze dried, do let us know! We’d love to get your feedback so we can update our article. Thanks again and best of luck!